Although Murabahah is the main authentic Islamic modes of finance in Islamic banking system but the Islamic banking industry is at-least partially failed to promote this basic Islamic mode of finance. The present study tries to find out the causes compelling Islamic banks to restrict the growth of Murabahah financing to a minimum level. Lack of interest of the bank management in Murabahah financing, lack of committed, honest and skilful entrepreneurs, lack of expertize, lack of government support are some of the main causes of slow growth of Murabahah as a mode of finance. 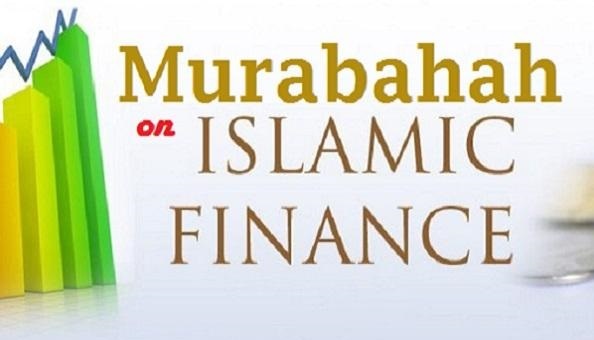 Objective of this research is to examine the importance of Murabahah compared to Islamic finance policies in long term Islamic finance programs in the Islamic bank industry. By evaluating the perceptions of different group of peoples and assessing their opinions on Murabahah. Negative viewpoints can be used to promote better understanding of the concept. Pakistan, being an Islamic ideological and a Muslim majority state was historically and ideologically bound to have its banking system based on Islam that is actually the complete code of life. In this research paper we are going to focus on Murabahah and its importance in market. Since the start of the Islamic banking industry questions have been raised about Islamic Finance policies used by Islamic Banks and their long term finance programs. 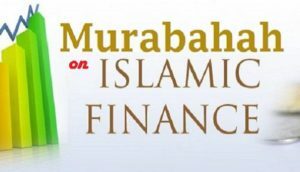 The most interesting questions on Islamic finance policies are those related to Murabaha finance. There are two arguments which concern Murabaha has two sides, one for it and the other is against. The questions normally include that whether should use Murabaha in their finance, and whether Islamic banks are heavily dependent on them. Murabahah is a particular kind of sale in which the seller discloses his cost to the buyer and adds a certain profit to it to determine the selling price. Most Murabahah practices are related to purchase orders For example; an Islamic bank buys a product, normally at the request of a client, who promises to buy it from the bank. The bank takes the risk while it owns the product. The bank then sells the product to the client. If the payment is not made at the establishment of the agreement, it becomes a debt and it is treated as a normal debt. Murabahah is considered to be the back bone of finance in the Islamic Bank industry. This implies that Islamic banks rarely use Musharakah, although it is generally agreed among Muslim Economists that Musharakah is the most effective Islamic finance policy. However the question arising over Islamic finance policies in general. And Murabahah in particular, are of special importance in the Islamic banking literature. The main argument is that why Murabahah is not growing in market and why the people are unaware of this Islamic bank product. To accept or reject this argument, however several hypotheses have been analysed and tested. The analysis will focus on the root causes. The result of testing these hypotheses will give us our accurate answer and will determine the main factors. In this research paper we are going to accept H1 and reject H2. The prime aim of this study was to determine the causes and hurdles in the growth of Murabahah financing. For this purpose a Questionnaire was prepared and distributed among students and some family members (respondents). A total of 30 questionnaires were distributed among respondents to collect information. Among them 21 questionnaires were completed and use-able for data analysis. 85% is the response rate that is reasonable for analysis of data. A personal contact approach is also used to collect the information from the respondent and the researchers explained the questionnaire and the objective of the study by telling its purpose. This was ensured that all questionnaires are complete, valid and suitable to be considered for their inclusion in the data collection process in the course of the research study. In this research paper we are doing Primary research as we have conducted a survey. Other related data were obtained from the different published research papers and annual and quarterly reports of the Islamic banking. The study is designed in such a way to effectively evaluate perceptions towards Murabahah to assess the perspectives of Islamic bankers. The research design comprises a structured questionnaire mostly administered personally. In the initial part of analysis, the demographic information of the respondents is discussed. The first problem is that despite the growth of Islamic banks over the last 30 years, many people in the Muslim and non-Muslim world do not understand what Islamic banking actually is. However, there does not appear to be a single definition of what is or not an Islamic-banking product; or there is not a single definition of Islamic banking. A major issue here is that it is the Shariah Councils or Boards at individual Islamic banks that actually define what is and what not Islamic banking is, and what is and what is not the acceptable way to do business, which in turn can complicate assessment of risk for both the bank and its customer. This is difficult for regulators as they like to know exactly what it is they are authorising. As far as a single product “Murabahah” is concerned, the unfamiliarity is a clear objection on it. First we have to understand the Islamic Banking system so we may start following Shari’h. This means, that system of Islamic Bank in any country should be well managed and successful so that people have faith and trust in this system. Many Islamic banks do not have the variety of products required to satisfy the growing need of their clients. In an era of advanced technology, Islamic banks must have to bring rapid changes in technology, and redesign the management and decision-making structures and, above, all introduce modern technology in its operations. Many Islamic banks also lack the necessary expertise and institutional capacity for Research and Development (R & D) that is not only necessary for the realization of their full potential, but also for its very survival in this age of fast competition. In addition, Islamic banks have so far not used the media appropriately. Even the Muslims are not very much aware that the Islamic banking is being practiced in the world. Islamic banks have not ever used an effective media to publicise their activities. The authorities concerned in Islamic banks should address these issues on a priority basis. A research was conducted that only 40% of Muslims consider religious factor while depositing an account. One of the hurdles in the way of popularity of Murabahah financing in Pakistan may be the unavailability of guidelines and regulations from the State Bank of Pakistan. Interest-free banking industry has been introduced recently in 2002. State Bank of Pakistan has already setup a division called Islamic Banking Division (IDB) to make and provide guidelines and regulations to the fast growing Islamic banking industry. Since Islamic banking industry is a newly emerging financial industry therefore, complete guidelines and regulations for banking products will take time. The growth of Murabahah as a mode of finance may also depend on the experience, expertise, and training of both the staff of the bank and its customers. The products of Islamic banking are new as compared to conventional banking products, therefore, both staff of the Islamic banks and customers are not familiar with these modes of finance and hence they lack expertise. Moreover, the banking personnel have less knowledge of Islamic banking products and Sharia principles. Obviously it will impact the growth of Murabahah. There is larger need to have committed; honest and skillful entrepreneurs and this may be considered as another hurdle. Islamic banking system is primarily depends on the moral system of Islam which gives importance to morality in order to maintain uniformity of conduct, peace and brotherhood. In today’s Pakistan honesty, truth, and commitment to one’s job is almost non-existent. For any business to run successfully, it’s very important for the entrepreneurs to be passionate and honest about their work. Moreover, the entrepreneurs have also no requisite skills. So this can be a major issue. There is unavailability of government support to Islamic banking industry because we have a dual banking system in Pakistan—interest-free banking and interest-based banking system. One is Islamic Banking system and the other is conventional. The later has the support of successive governments since the birth of this country in 1947 and legal cover and protection has been provided to it. While on the other hand, interest-free banking system has a less support of government. Accounting problems may also work as a hurdle in the growth of Murabahah in Pakistan. Islamic banking industry follow the old conventional accounting methods, therefore, these conventional accounting methods and techniques may create problems for the growth of Murabahah.